Ukraine has announced that it has seized an airplane destined for Iran loaded with arms at Kiev’s Zhulyany Airport. The plane was reported on Sunday carrying Russian-made anti-tank guided missiles. The Russian agency Interfax confirmed that the weapons were discovered by Ukraine’s border police in Kiev’s airport following a search of 17 containers that were not registered in the flight’s cargo manifesto. 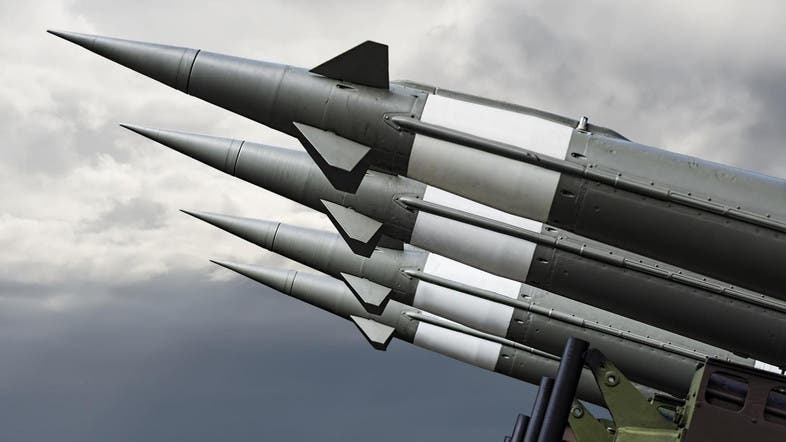 A spokesman said that three containers were found to be storing the missiles – which are light weight, infrared guided anti-tank missiles – while the remaining storage boxes contained airplane spare parts. Terrorists and criminals can travel to Britain on the Eurostar without any form of identification, a Daily Mail investigation reveals. The extraordinary flaw in our border security means anyone can arrive in the heart of London without a passport for as little as £2.60 – the price of a cup of coffee. Theresa May has confirmed she will meet new US President Donald Trump for talks at the White House on Friday. In a major victory for No 10 she will be the first world leader to visit President Trump in the White House and they will meet less than a week after his inauguration. 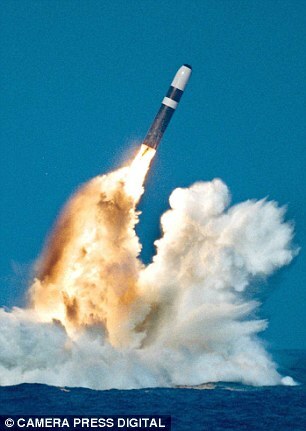 The former head of the Royal Navy blasted No10 today over its ‘bizarre and stupid’ decision to ‘cover up’ a major malfunction in the UK’s Trident nuclear missile deterrent and said it made Britain look like North Korea. It was claimed last night that Downing Street imposed a ‘news blackout’ about the failed test just weeks before a crucial Commons vote on the future of Britain’s nuclear deterrent. Today Theresa May refused four times to say if she knew about a major malfunction in the UK’s Trident nuclear missile deterrent. SANAA, Yemen – Yemeni security and tribal officials say suspected U.S. drone strikes have killed three alleged al-Qaida operatives in the country’s southwestern Bayda province. They say the two Saturday strikes killed Abu Anis al-Abi, an area field commander, and two others. They spoke on condition of anonymity as they were not authorized to release the information. For Putin, the injection of Hizballah into a major Syrian battle came at an awkward moment in terms of his diplomatic strategy on the eve of the Syrian peace conference that opens in Astana, Kazakhstan, Sunday, Jan. 23, under his joint sponsorship with Turkish President Tayyip Erdogan. The Russian leader had already given his co-sponsor a commitment to initiate a resolution at Astana demanding the withdrawal of all pro-Iranian militias from Syria, including Hizballah. This aimed at pacifying Syrian opposition groups but was also meant to demonstrate to President Trump that Moscow would be a strong partner in the war on ISIS while also ready to clip Iran’s wings and influence in the affairs of Syria and Lebanon. At the same time, Russian war strategists appreciate the urgency of averting the fall of Deir ez-our and its air base to the Islamists. This catastrophe would negatively impact the entire campaign against the terrorist organization on its three main fronts, Mosul, Raqqa and Palmyra, and count as ISIS’ biggest victory in the past year. China has warned Japan against interfering in Taiwan’s affairs following a media report saying Tokyo’s armed forces plan a tabletop exercise this week on the assumption that there will be a military clash between the Chinese mainland and the self-ruled island. “The Taiwan issue is internal affairs of China. We hope the Japanese side will speak and act cautiously,” Foreign Ministry spokeswoman Hua Chunying said at a press briefing, when asked about the Kyodo News report, adding that Tokyo should not take any action that would undermine peace and stability in the region. The report, released on Jan 18, said Japan’s Self-Defense Forces will conduct the simulated exercise from Monday to Friday, with the U.S. military taking part in it as an observer. TAIPEI, Taiwan — Taiwan’s state-owned Aerospace Industrial Development Corp. (AIDC) said it has begun an upgrade of the country’s fleet of U.S.-manufactured F-16 fighter jets and that the work is expected to be completed within six years. The first batch of four F-16s is being upgraded at the AIDC’s plant, said the company, adding that a new hangar will be launched soon to facilitate the retrofit program. In order to carry out the program locally, the manufacturer of the jets — Lockheed Martin in the United States — sent its engineers to Taiwan last year and helped train local personnel at the AIDC on how to perform the upgrades to improve the aircraft’s combat capability. According to the AIDC, the retrofit program will include installing advanced equipment on the fighters, including the AN/APG active electronically scanned array (AESA) radar system, currently used in the U.S. F-22 and F-35 fighter aircraft. The Joint Helmet Mounted Cueing System and the short-range air-to-air missile AIM-9 Sidewinder will also be installed. China’s military will carry out drills regardless of foreign provocations and pressure, the Communist Party’s paper said on Sunday, adding that exercises far out at sea like those conducted recently by its sole aircraft carrier will become normal. Earlier this month, Taiwan scrambled fighter jets and navy ships as the Liaoning then passed through the narrow waterway separating China from the island Beijing claims as its own.For its part, China was alarmed this month when U.S. President Donald Trump’s nominee for secretary of state Rex Tillerson said China should be denied access to islands it has built in the contested South China Sea. The People’s Daily said no amount of “word bombs”, such as Tillerson’s South China Sea remarks, could stop China’s military drills. Chinese media have said the U.S. has to wage a war with China if America blocks it from accessing the artificial islands it has built in the contested South China Sea. Rapidly expanding its naval fleet, China has commissioned its 31st stealth warship as it got its battle group under its first aircraft carrier ready amid tensions with the U.S. and other nations over its assertiveness in the disputed South China Sea. The People’s Liberation Army Navy has commissioned its 31st Type—056 class corvette, marking a new addition to the world’s largest fleet of modern corvettes, official media reported. An Italian nuclear engineer and his sister have been arrested by police on charges of conducting a massive cyber-espionage operation that hacked into the emails of two former prime ministers, Vatican cardinals and Mario Draghi, the president of the European Central Bank. Giulio Occhionero, 45, and his sister Francesca Maria Occhionero, 48, who have residency in the UK but are believed to have been most recently living in Italy, were arrested on charges of stealing state secrets and illegal hacking. Mr Occhionero, who investigators said had strong links to the Masonic movement, allegedly developed software that infected email accounts, enabling him to access the information. He called the “malware” or computer virus “Eye Pyramid” – an apparent reference to the all-seeing eye of God, or Eye of Providence, a symbol often associated with Freemasonry that appears on the US one dollar bill. The name of the software may also have been a play on his own surname – Occhionero means “black eye” in Italian. Greece’s national rail company TrainOSE has been sold to Italy’s state railway group Ferrovie dello Stato (FS) for €45 million ($48.1 million). The sale is part of Greece’s €86 billion bailout agreed with international creditors two years ago. The privatization of state assets is a condition of the bailout deal though it contradicts Prime Minister Alexis Tsipras’ pre-election promise not to privatize the country’s infrastructure.